Floral patterns are not only representative of the joyous Spring/Summer season but they are extremely pleasing to the eyes and can be incorporated into your clothes, accessories and shoes. What’s more is that florals can be worn on any occasion, be it to your work, a dinner party or even your best friend’s wedding. 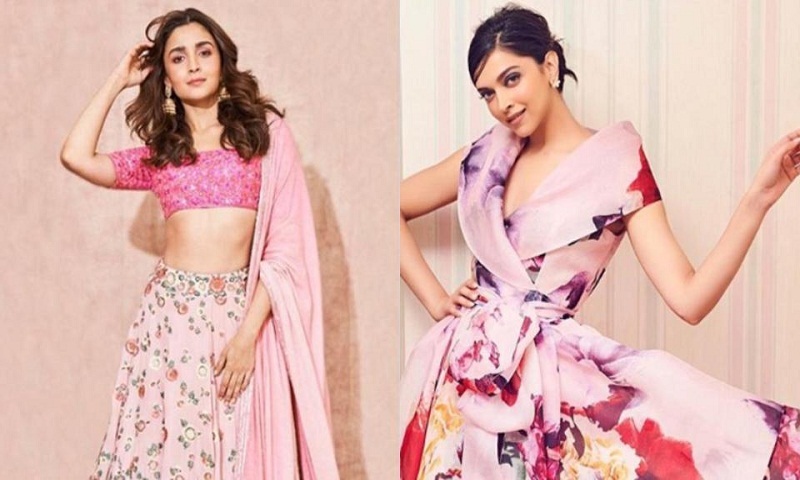 Recently a number of celebrities including Deepika Padukone, Katrina Kaif, Alia Bhatt, Sonam Kapoor, Sophie Turner and many more have been seen flaunting this trend on red carpets, photoshoots and even weddings.We take a look. Florals for weddingsLehengas, sarees, anarkalis and almost every ethnic outfit can carry the floral touch. Take a cue from Alia Bhatt and Katrina Kaif on how to slay those day weddings in light colours and floral prints. You can even chose to wear floral footwear or carry a sling with a floral pattern with your monochrome outfits to incorporate the trend in your look. Summer outings are the perfect opportunity to enjoy roof-top parties and capture those Insta-worthy pictures. Floral maxi like the one worn by Deepika Padukone is perfect for daytime gatherings. You can even try floral sarees in pastel colours for summer get-togethers. Wearing floral hair accessories is another great way to add this flowery aesthetic into your outfit especially if you want to go minimalist with this pattern. Getting together an outfit for work can prove to be a tedious task. Floral blouses paired with dark trouser or skirts and completed with monochrome bags can be one way to pull off this trend at work. Another alternate for work wear, are floral dresses paired with heels. The best way to style an all floral dress at work is by ditching any hefty accessories and opting minimalistic pieces. Floral monokinies, shorts and skirts are a great idea for a beach sundowner event. For other evening gatherings you can wear dark coloured maxi dresses or jumpsuits with floral prints.Keeping your hair down for such events can help you implement the easygoing vibes of such parties.You can even use sarongs in floral patterns and make them into comfortable tube or halter-neck tops or just to wrap around yourself over the swimwear at a beach outing. Your daily wear outfits can have a lot of florals. Dresses, kurtis and tops should be your go-to items to implement this trend into your wardrobe. They are available in number of colours and prints and can make your look stand out if styled appropriately. Florals accessories are also a great option to style with monochrome outfits. Scarves, earrings, handbags are just some things which can help you add a fun element in your look without overpowering the attire.